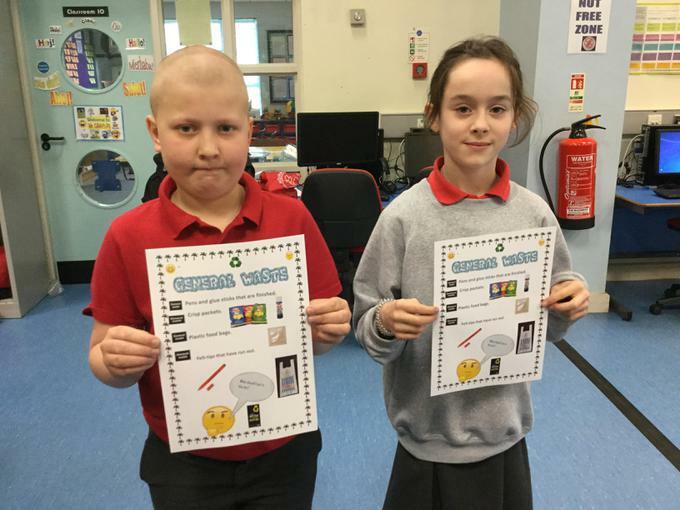 Some posters are ready for laminating and distributing to all the classrooms! 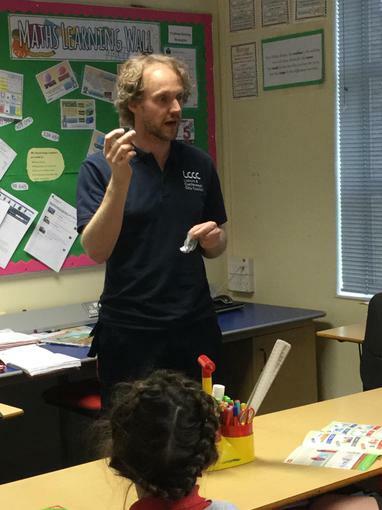 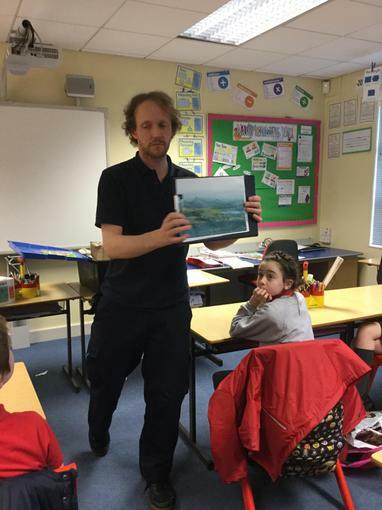 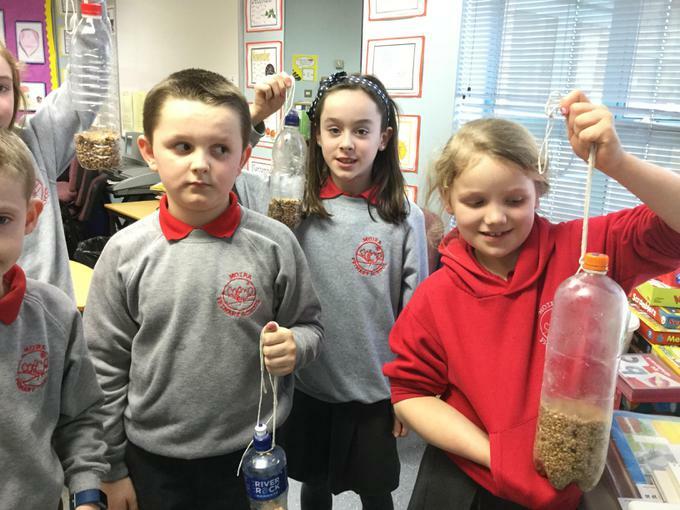 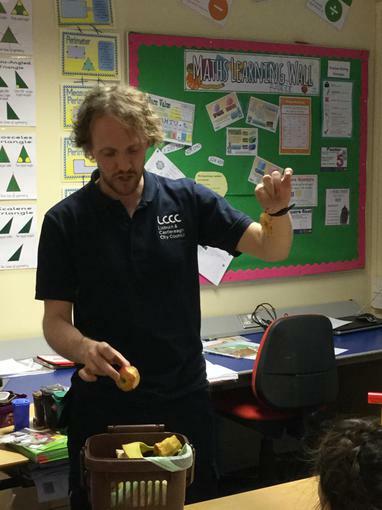 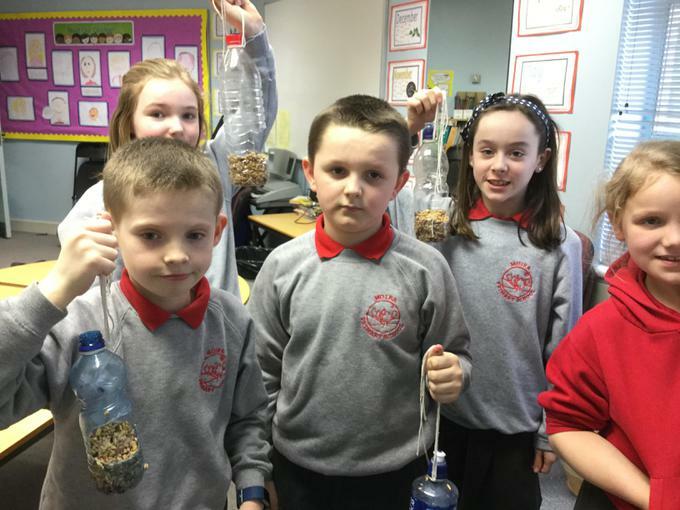 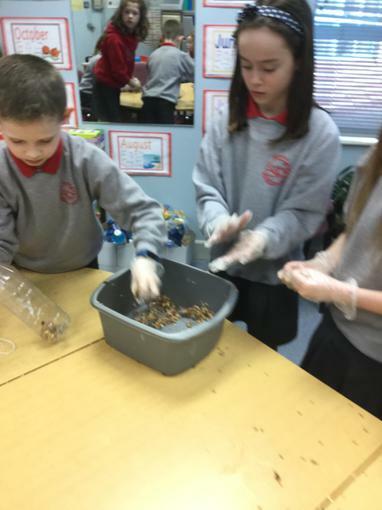 John from Castlereagh and Lisburn City Council City Council spoke us to about the importance of reusing and recycling our waste. 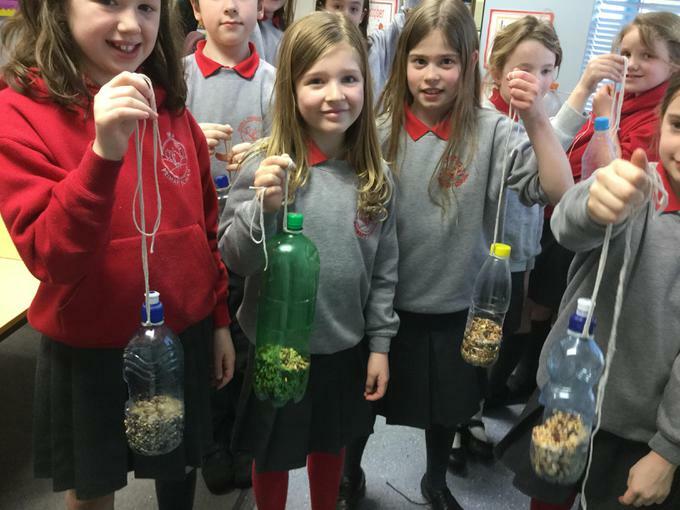 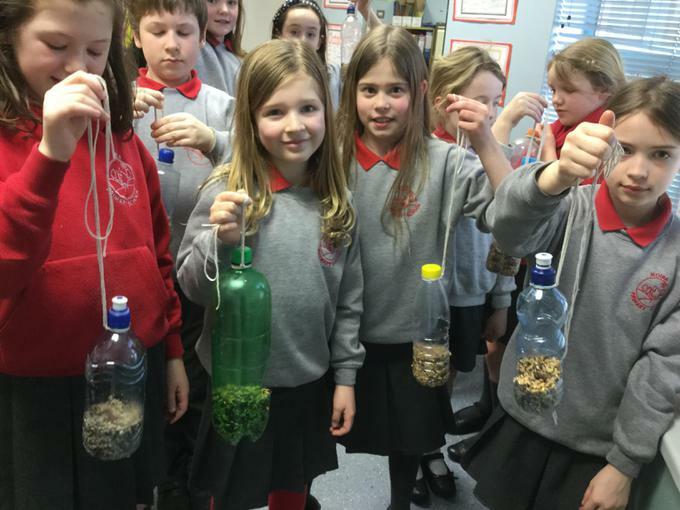 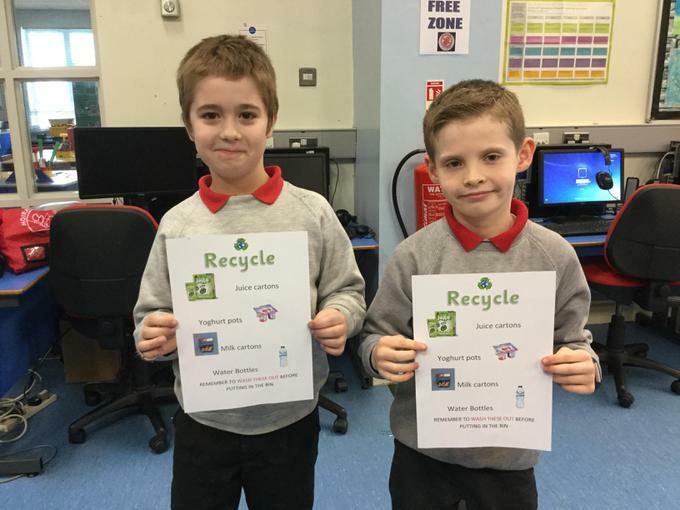 We look after the environment when we recycle and we can also save a lot of money! 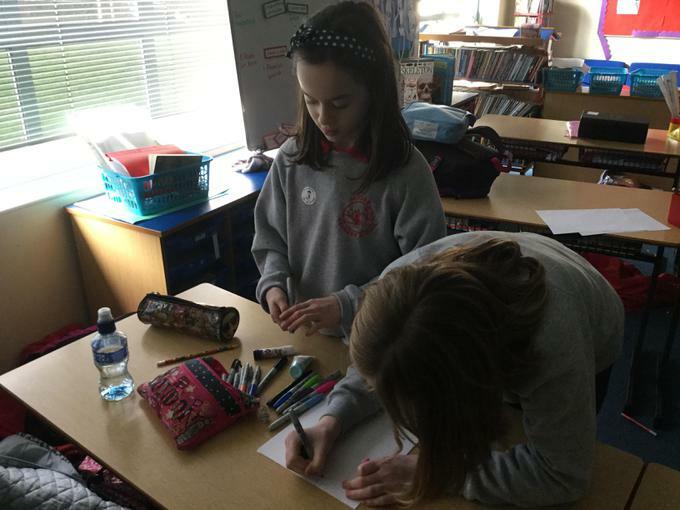 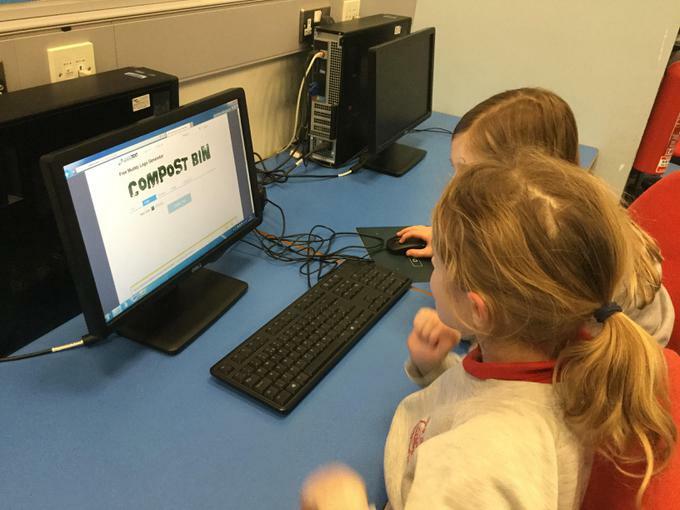 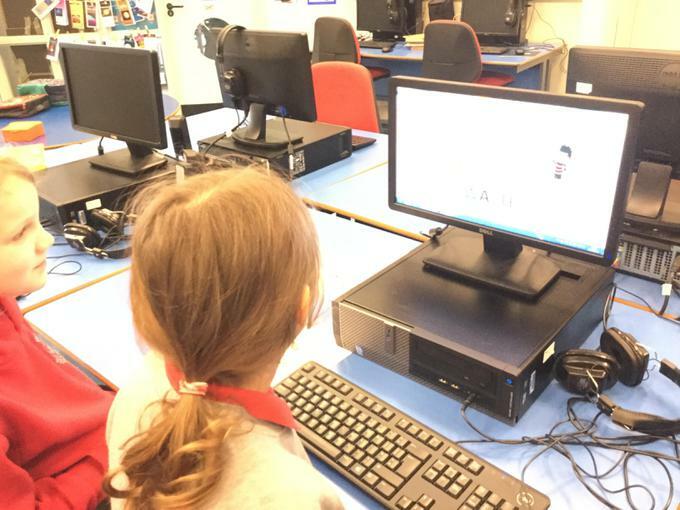 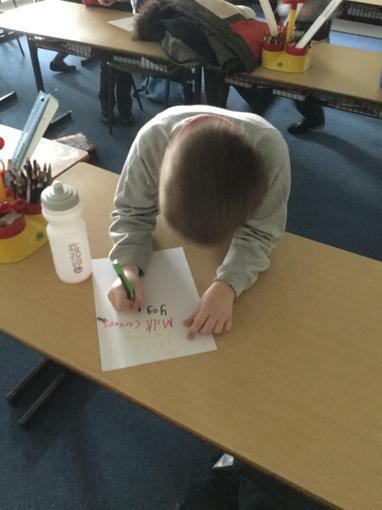 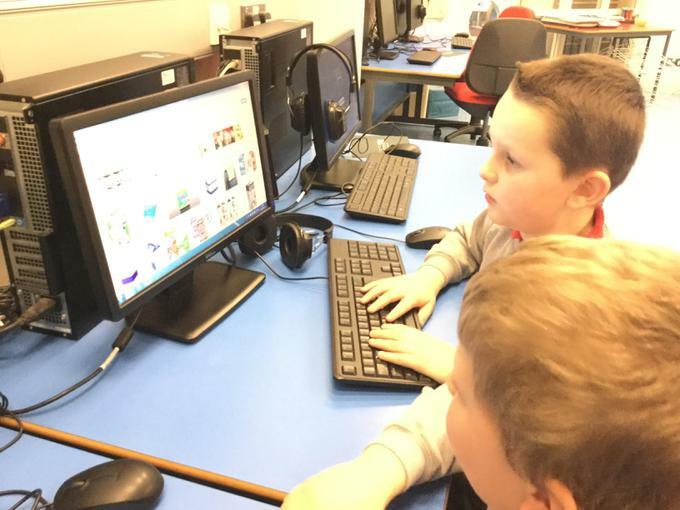 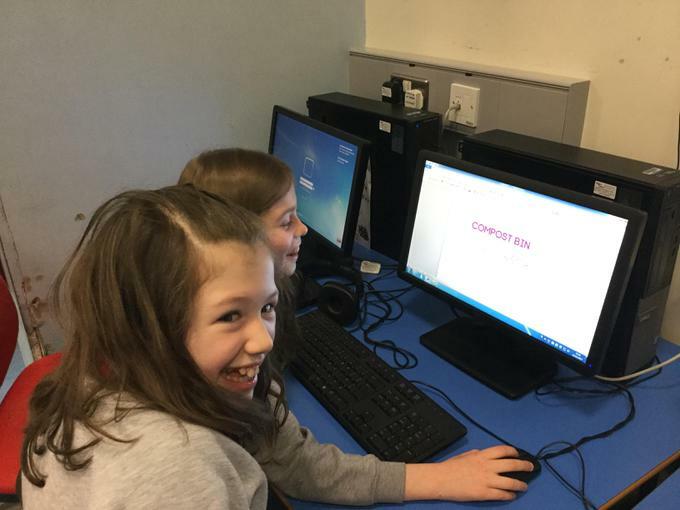 P5 are using their ICT skills to design new posters for the different bins in our classrooms. 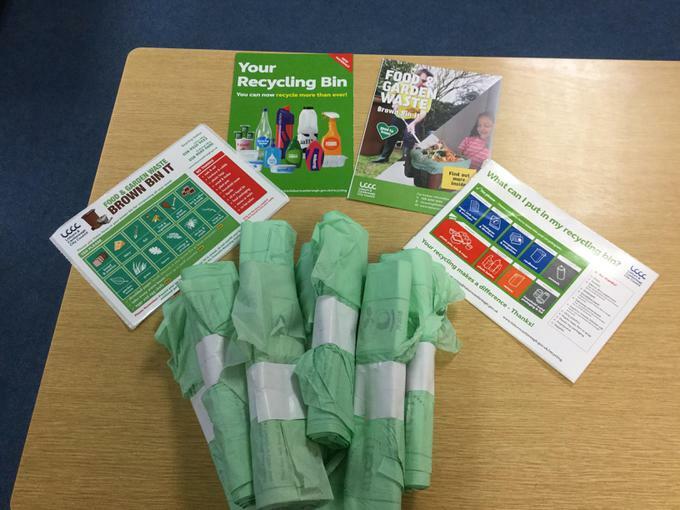 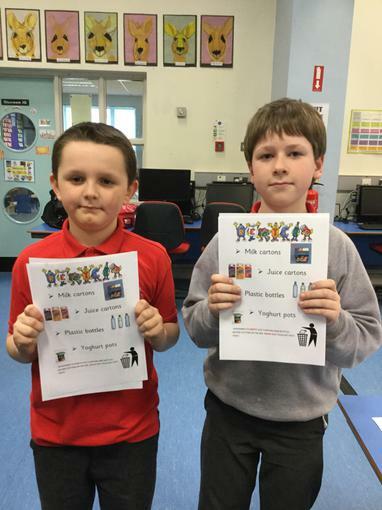 We really want everyone to recycle more of their rubbish! 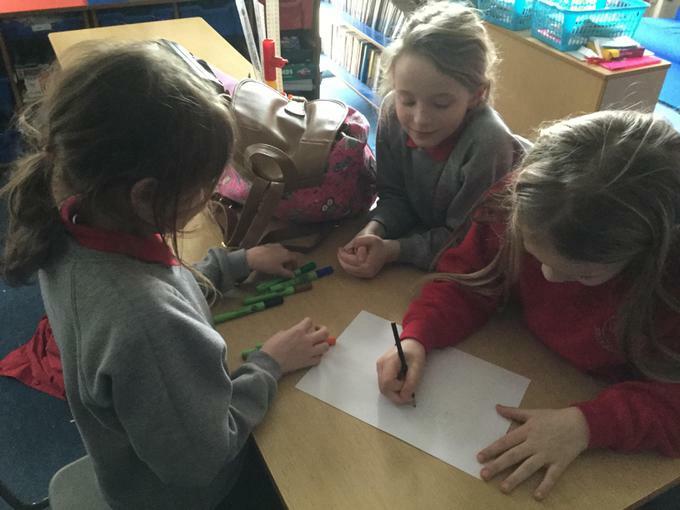 On their first meeting, the P5 pupils have been thinking about the different bins we have in our homes and at school. 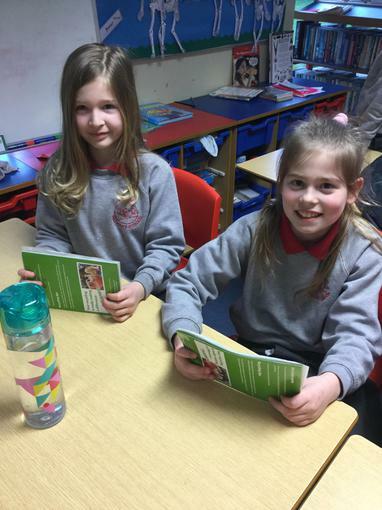 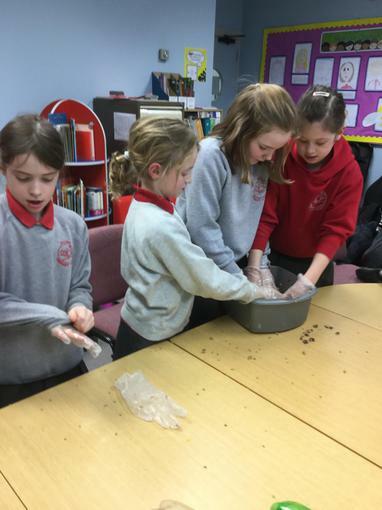 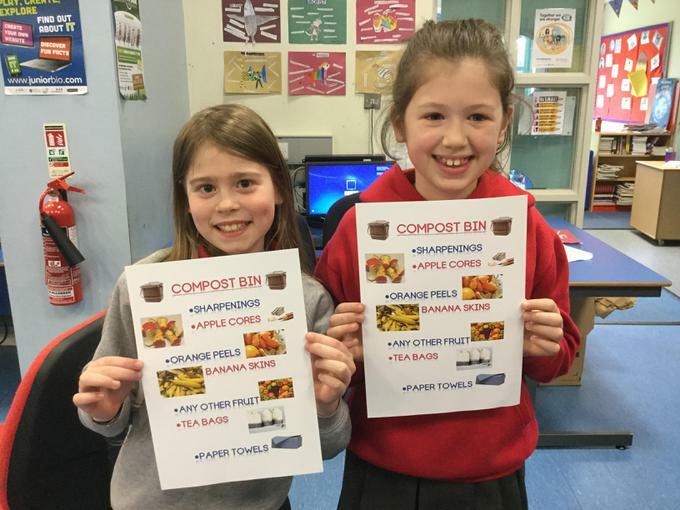 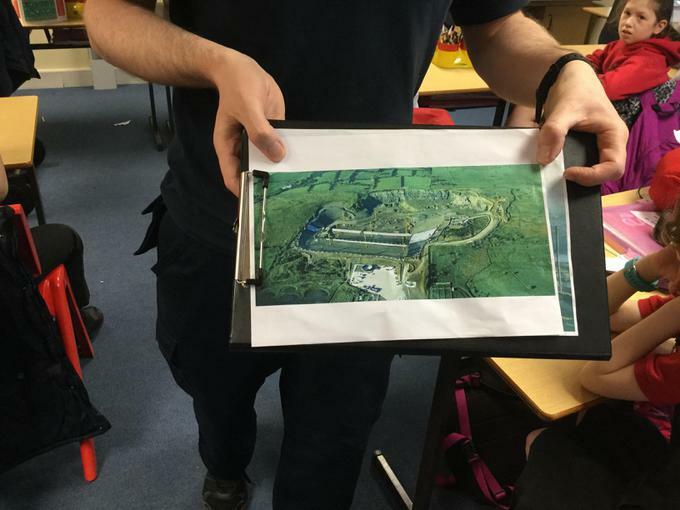 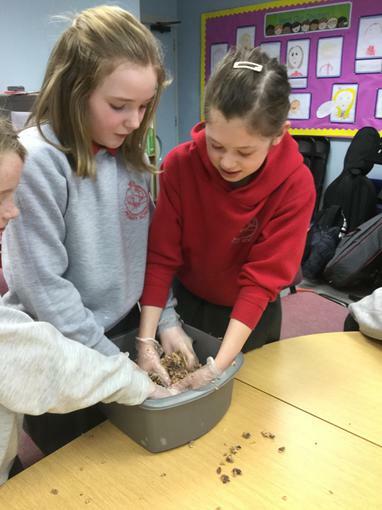 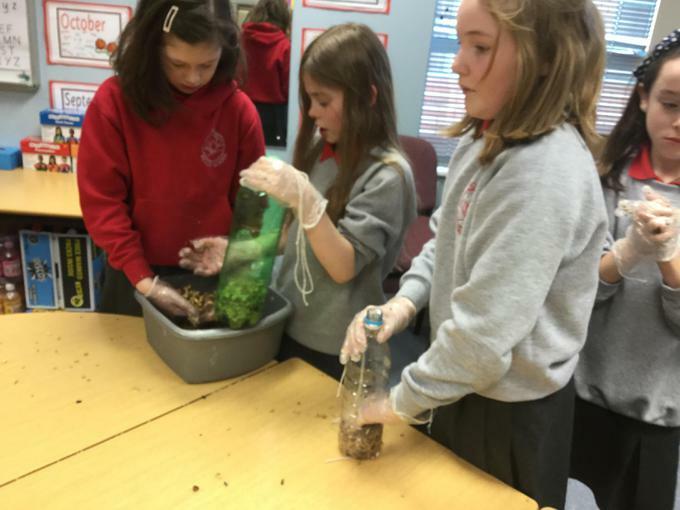 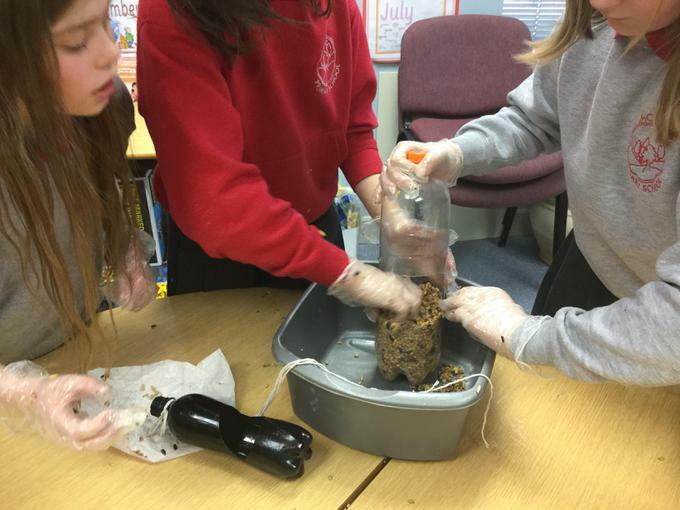 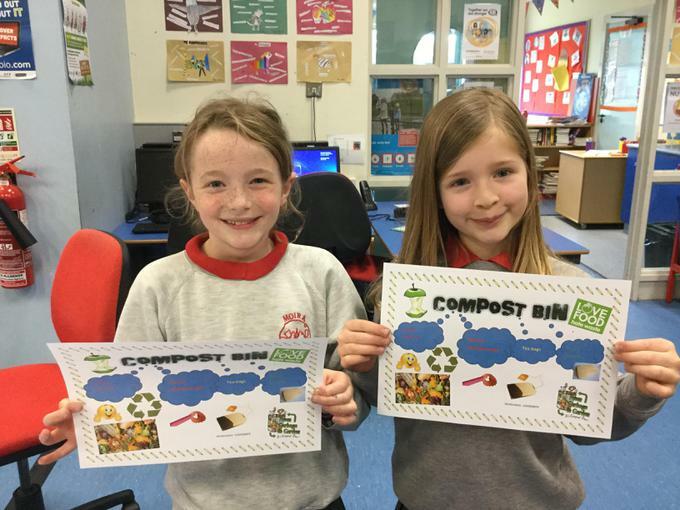 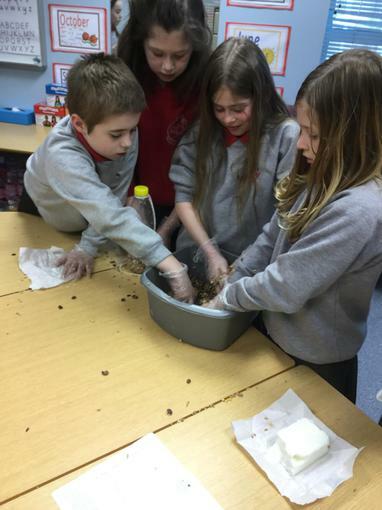 After reading a leaflet from Lisburn &Castlereagh council, they tried to sort rubbish into either the brown compost bin, green recycling bin or blue/black general waste bin. 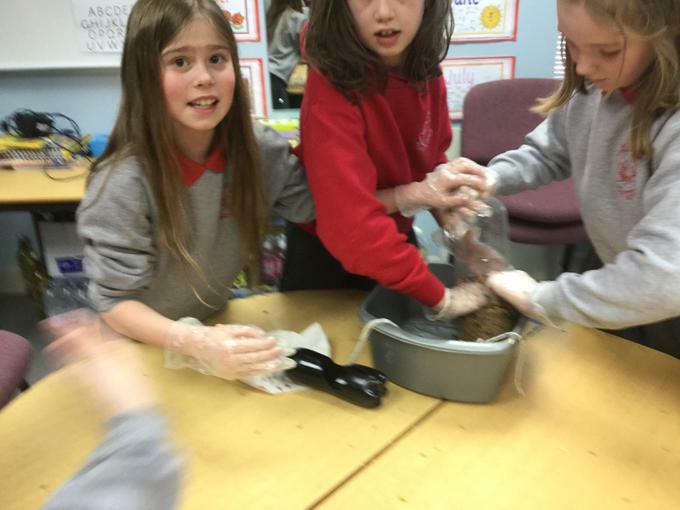 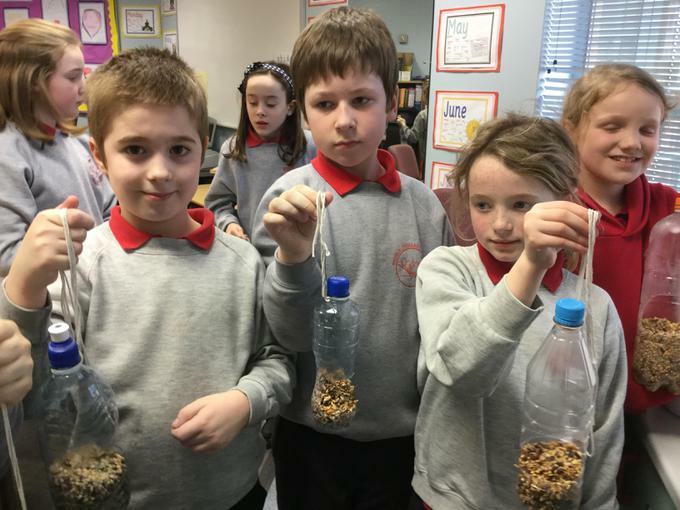 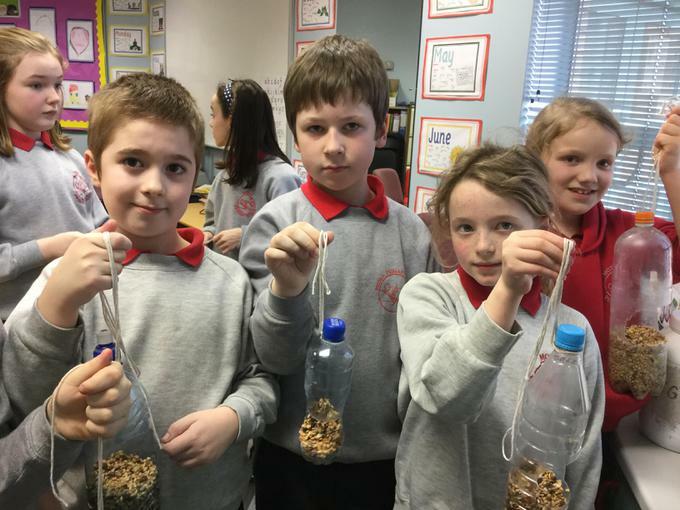 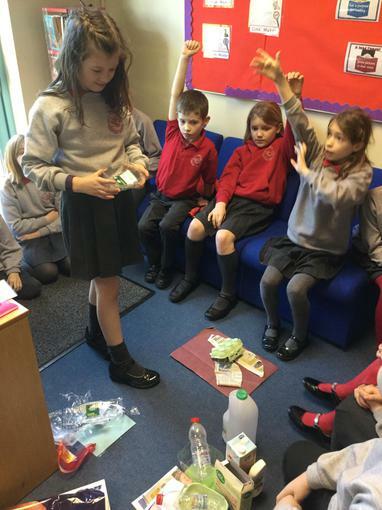 They realised that we can recycle lots of items of rubbish. 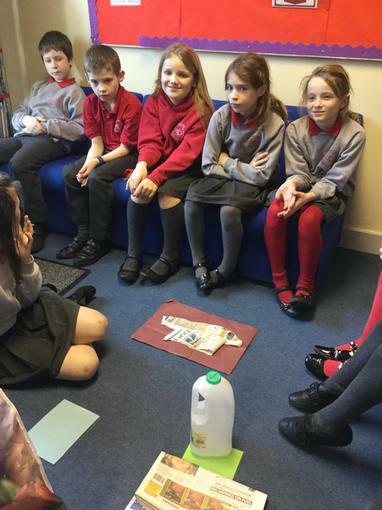 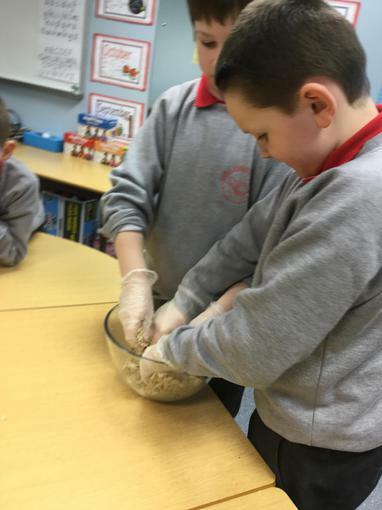 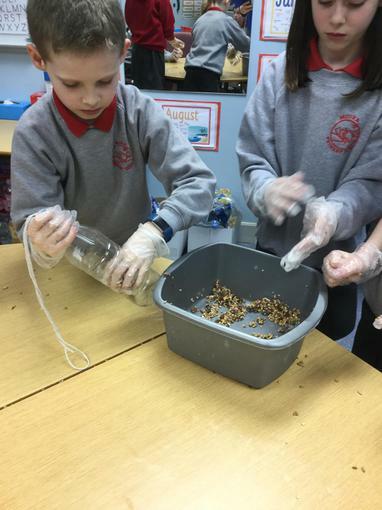 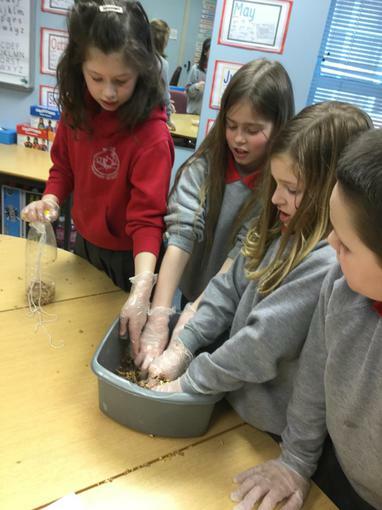 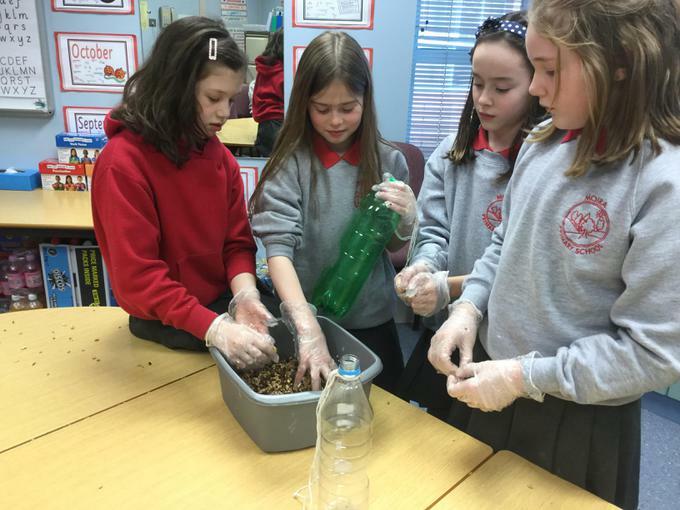 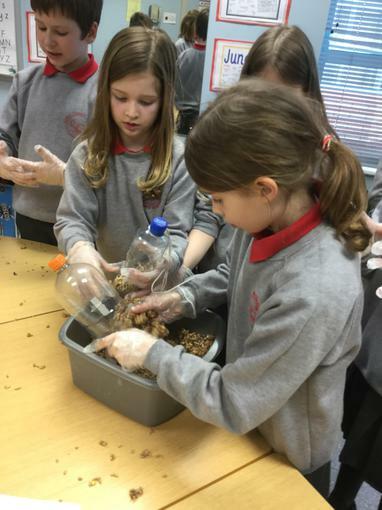 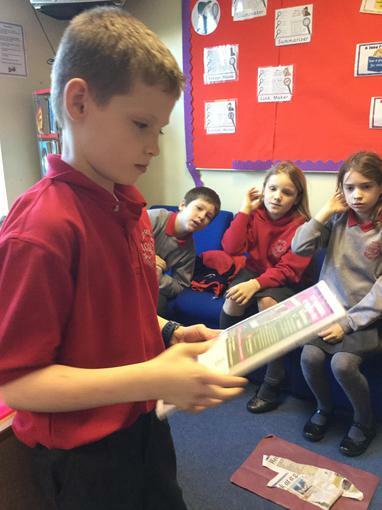 They also discussed the sorts of items we can and should be recycling in school. 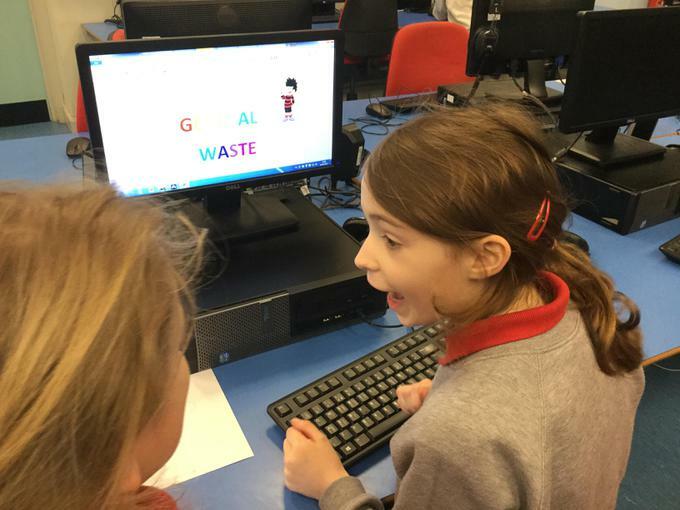 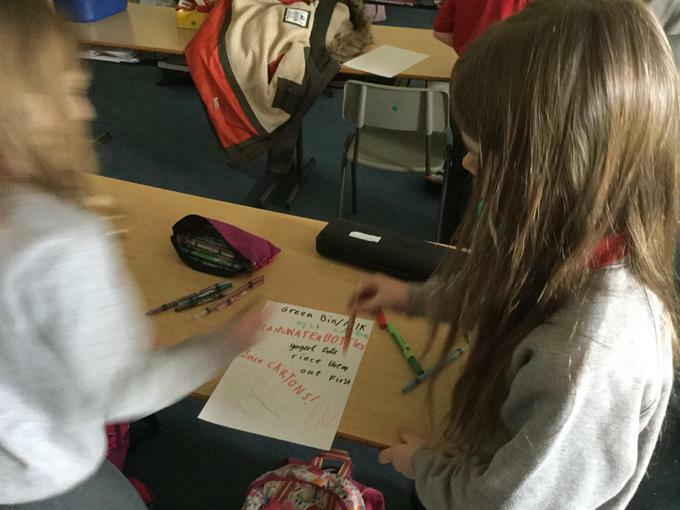 Afterwards, they began to plan new posters for the bins in all the classrooms.